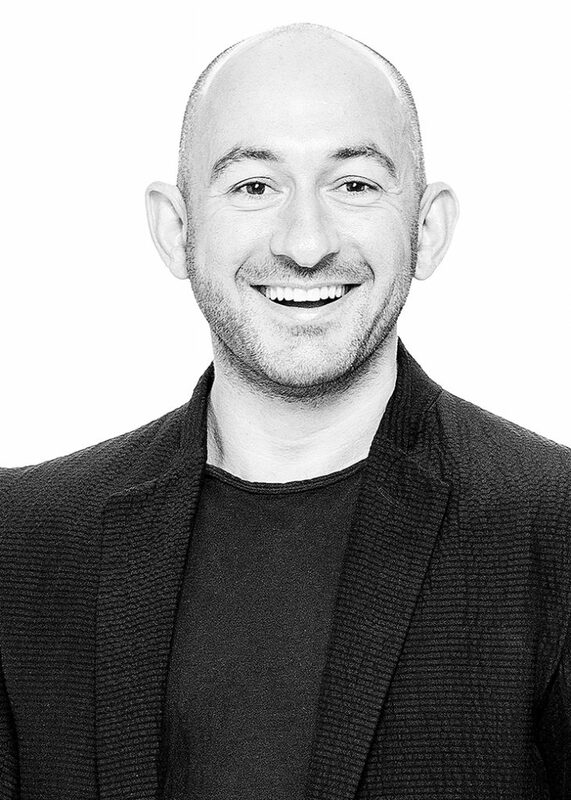 Dmitri Papas from Brisbane’s acclaimed PAPAS + PACE Salon was recently crowned ‘Australian Hairdresser Of The Year’ at the 2015 Hair Expo Awards. Heralded as the industry’s leading event for hairdressing professionals from across Australia and New Zealand, the 2015 Hair Expo was staged at the Sydney Exhibition Centre across three days showcasing world-class education seminars, live technical demonstrations and glamorous after-dark functions. Dmitri created a collection for the awards that showcased sophisticated cutting complemented by brilliant colouring and polished finishing, inspired by master Japanese architect, Tadao Ando renowned for his use of luminous surfaces, and Picasso’s angular Cubist compositions, a collection that was worthy of the title of Australia’s Hairdresser of the Year and also demonstrates why he has a prominent role at leading haircare specialist Redken 5th Avenue NYC where he is a Global Hair artist. We talked to Dmitri after his win about what inspires him, his favourite products and top tips for Winter. Congratulations on winning the Australian Hairdresser of the Year! How do you feel after winning the coveted award? I’m still coming to terms with the win. The last few weeks have been crazy busy and I am tremendously honoured and humbled by this prestigious award. It is the culmination of many years of hard work invested not only by me, but also my acclaimed team at Papas + Pace. As a Redken Global Artist, I love nothing more than being able to share my knowledge and experience with other hair professionals. Now, as ‘Australian Hairdresser Of The Year’, I am able to share my journey with a much wider audience. 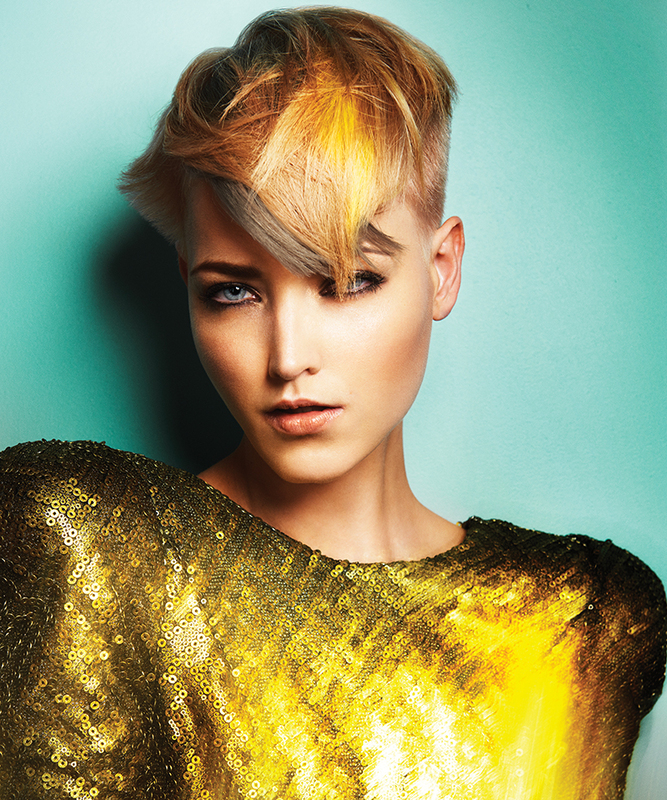 You do some amazing work with hair – what inspires you to keep innovating with hair styles and cuts? I am continuously inspired by technical brilliance and innovation in any creative sphere… visual art, photography, cutting-edge design and contemporary architecture. Hair professionals need to be constantly examining the world around them, looking for new ideas and new ways of doing things. My creativity is fuelled by art galleries, exhibitions, live performances, fashion shows, film, music and theatre – inspiration lives everywhere – you just need to keep your eyes open. What are some of your favourite products that you use in creating your styles and cuts? Any tried and tested items you’ve used for a long time and any you’ve discovered recently that you’ve added to your suite of trusted go-to products? Redken Pillow Proof Blow Dry Primer – this product is amazing for all types of hair as it cuts the blow dry time down, protects against heat and breakage. Redken Full Effect 04 All Over Nourishing Mousse – creates conditioned volume with no crunch and a weightless feel. Redken Duo Shield 07 Color Protecting Gel-Cream – a nourishing, cermaide-rich fixing gel that provides heat protection and preserves colour vibrancy… great for creating big, bouncy styles. Redken Wind Blown 05 Dry Finishing Spray – the ultimate finishing product that creates a weightless airy effect with tousled body and movement. Redken Fashion Work 12 Versatile Working Spray – an essential antioxidant-rich hair spray to create volume and texture with brushable control. Redken Wax Blast 10 High Impact Finishing Spray-Wax – a lightweight formula that provides choppiness with a satin matte finish. 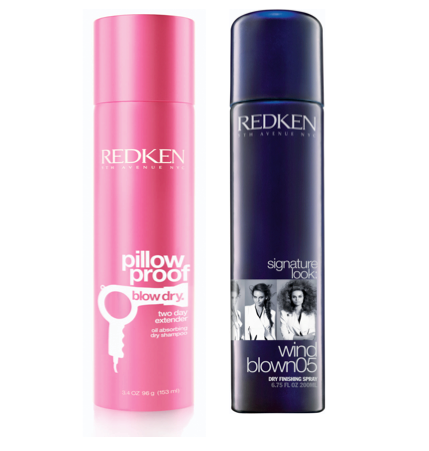 Redken Pillow Proof Blow Dry Two Day Extender – a multi-skilled product that absorbs excess oil, refreshes and extends the life of blow dries. The full-bodied matt texture is sensational… every girl should have this in her bag! What are some of the key trends you’re seeing during our Winter and upcoming Spring season? Currently, impossibly sleek, straight styles are giving way to glamorous, bouncy blow dries and the new season will see a return of dramatic short cuts. Any tips for those that are battling dry Winter hair at the moment? Hydration is the key. I recommend Redken’s Diamond Oil Shampoo and Conditioner to provide strength and nurture the hair with a blend of nourishing oils. Now is a good time to reach new lengths before the Summer season. 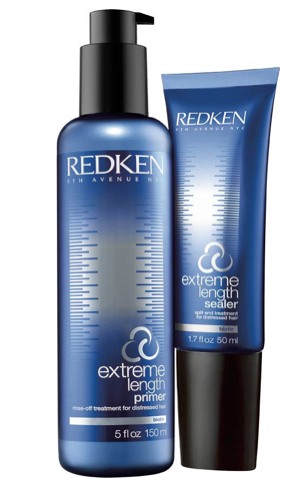 Redken’s new Extreme Lengthening Duo – a Extreme Length Primer + Extreme Length Sealer – can assist by fortifying the hair and reducing the appearance of split ends. Finally make sure you drink plenty of water, and eat well… we often forget the impact that our overall health has on maintaining beautiful hair. To celebrate Dmitri’s win as Australian Hairdresser of the Year and his position as Redken Global Hair artist, Redken are giving away a complete collection of the new EXTREME range valued at $206 to one lucky winner. To enter, complete your details below by 5pm Thursday 2 July for your chance to win. 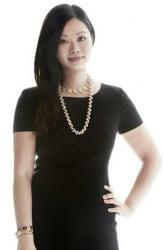 To locate your nearest Redken salon and for more information on products visit www.redken.com.au.